Winter can be pretty depressing if you’re not prepared. It’s too cold and dark to go anywhere or do anything but sit at home and stare at the TV all day. It’s time to get off that couch, get yourself a jacket, and catch some wintertime action! 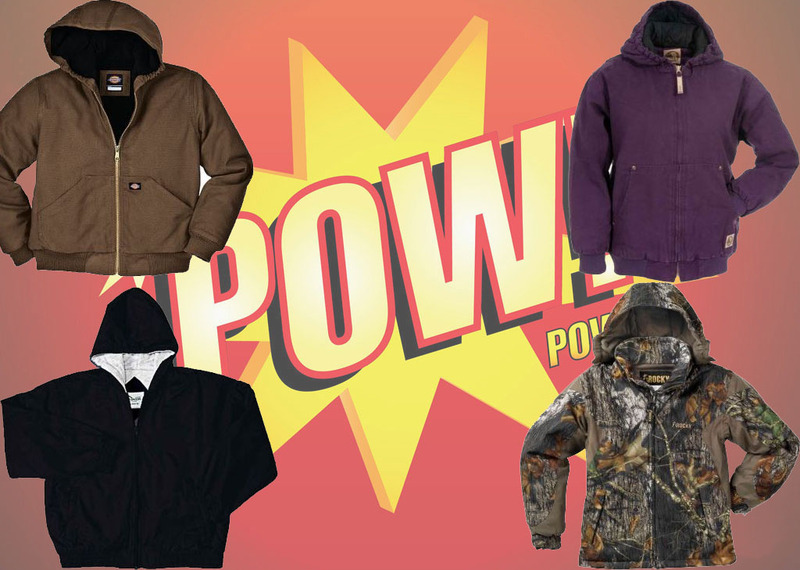 Our action-packed jackets will have you prepped and ready to take on anything winter can throw at you! Blizzards, hail the size of your cat, snow that buries your car, blinding rain and, yes, even explosions! Okay, maybe there are no explosions in winter, but if there are, you’ll totally be ready and waiting for them. 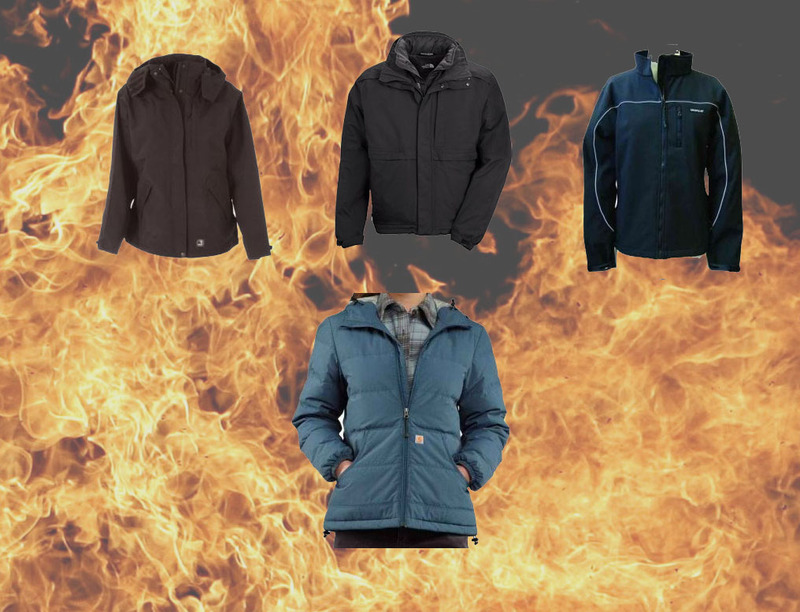 Check out our selection of jackets that are sure to kick out the cold weather blues like only an action movie star could. From Top Left: Berne Apparel WNJ101 Women’s Heavyweight Waterproof Breathable Nylon Jacket, Horace Small HS3334 Unisex 3-N-1 Jacket, CAT Apparel 1313040 Women’s Soft Shell Jacket, Carhartt 100663 Women’s Portland Down Zip-Front Jacket. From Top Left: Carhartt J175 Men’s Insulated Waterproof Breathable Jacket, Rocky 600696 Men’s Waterfowler Waterproof Insulated Jacket, Dickies 61242 Mne’s Quilted Jacket, Ariat 10516 Men’s Team Waterproof Jacket. 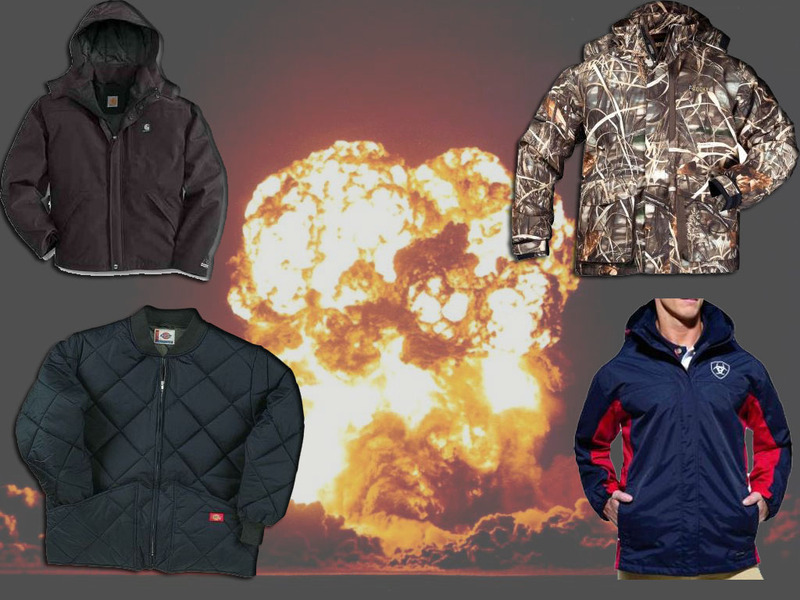 From top left: Dickies KJ101 Boy’s Sanded Duck Hooded Jacket, Berne BHJ52T Toddler’s Sanded Hooded Jacket Quilt Lined, Classroom Uniforms 53402 Youth’s Zip Front Bomber Jacket, Rocky 607105 Kid’s Junior ProHunter Waterproof Insulated Jacket.